I’ll say this clearly now so the point is not buried: Over the Garden Wall is quite possibly the best thing I’ve seen on television in all of 2014. Like many of my recent finds this began on Imgur. I was browsing the front page only to find a picture from a show I didn’t immediately recognize. 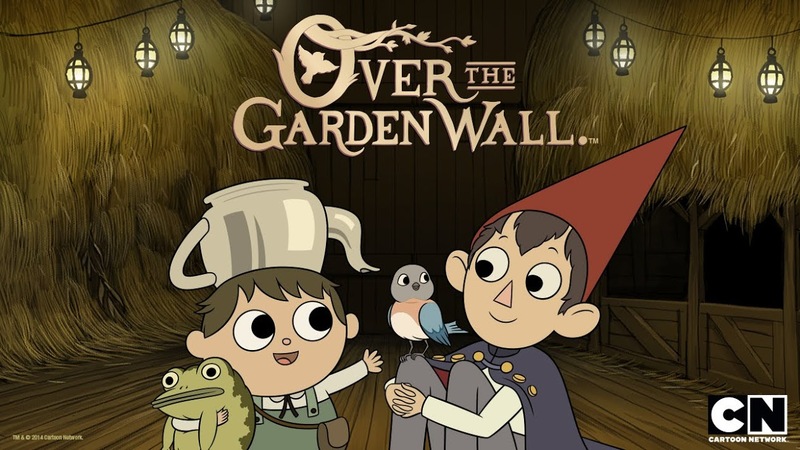 The clip, featuring characters I would come to know as Wirt, Beatrice, and Fred the Horse, made me laugh to the point that I needed to find what the show in question was. A quick scan of the comments later and I was led to search for Over the Garden Wall. This is about as young a series as possible – the series aired in its entirety in November. I hadn’t caught it in real time as I haven’t watched Cartoon Network, the channel providing the show, since my middle school love for Codename: Kids Next Door and Foster’s Home for Imaginary Friends. Imgur changed this and I quickly located the series on iTunes. I was initially confused as to how the series could be so short – 10 stories, each twelve minutes, divided equally over five total episodes. That’s right, Over the Garden Wall will take less time to watch than just about every movie in theaters currently. This made the decision to pick up the series on the fly automatic. I finished the series tonight and I am beyond blown away. Things become clear in the opening minutes that the show is hilarious. My girlfriend, Laura, and I have each had the song “Potatoes and Molasses,” sung by Greg (the tea kettle headed youngin’), stuck in our heads for days. The show goes 10 for 10 with regards to providing laugh out loud moments. It similarly goes 10 for 10 in providing captivating stories. The series is largely framed like a fairy tale. Animals can talk, there’s a Beast afoot, the supernatural is repeatedly referenced, Tim Curry voices a villain – the moments are there. There’s an incredibly smart handling to the story. It’s short and simple. There really is no wasted moment here. Every scene either advances the story forward or works to deepen it. Both choices, regardless of what is made, improve the show. Similar to Breaking Bad, OTGW continues to improve up until the moment the final credits roll. In an interest to avoid spoilers I will not disclose any of the plot (further than the vague parts above), however I will note that there is a highly engaging story that is impossible to not invest in. I got emotional at least thrice in the final chapter of this essential storybook. It’s quick, but you become invested in trying to see Wirt and Greg get home. As every review, including the perfect marks from the AV Club, mention the show is beautiful. The show regularly made me think of Winnie the Pooh and the Hundred Acre Woods. While the biggest fear in Pooh’s mind was a hunny drought the protagonists of our tale have considerably more to worry about. This serves the story a few ways. While being a dark story it is still close enough to a real fairy tale to be accessible to children. If young cousins of mine watched this they would most likely love it. Similarly, my friends from home would love it. Ditto to my friends here in college. This is because I do not know a single person who wouldn’t appreciate a perfectly executed study in the elements of storytelling. Characters are richly drawn, as are the worlds they live in – figuratively and literally. Jokes are amazing and plot is engaging. This is stem to stern amazing. Every fiber of my being screams for more. I was upset to find I had watched the show as quickly as I had. But that’s okay. How often do we get something perfect? Every show needs some time to build. Few, if any, hit the ground and find their stride immediately. Over the Garden Wall is a rare case of this being true. There doesn’t need to be more, because perfection cannot be improved. We will always have this series. We can open this fairy tale and begin anew any time we want. That’s a true gift. That’s something only the best of stories provide. So, needless to say, Over the Garden Wall is a special series. This is a little nugget of wonder and amazement that anyone, literally anyone, can enjoy. If you wish to begin, look below. Let’s head into The Unknown.